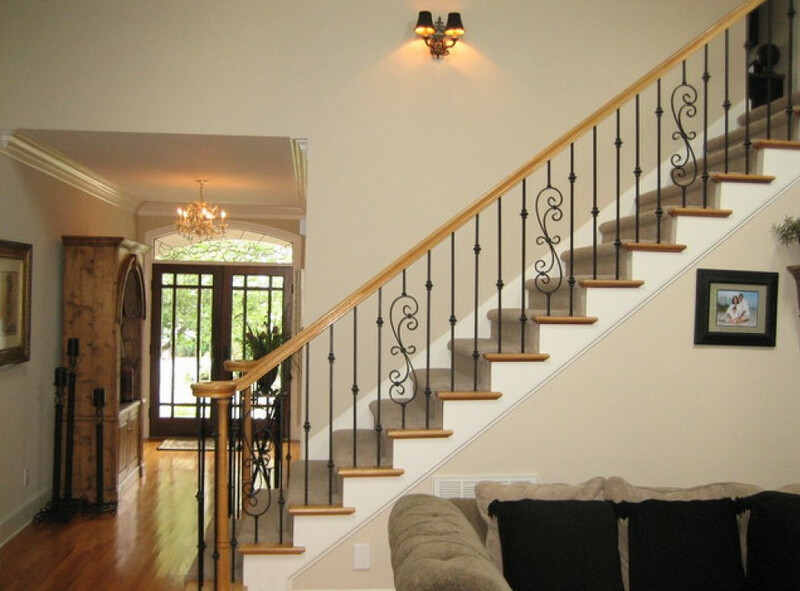 This is a lovely house with a wrought iron railing system. The railing does not only make the up stairs safe but also catchy and elegant. This railing has floral designs separated by five rods. It is ideal for any house, particularly one that has wooden or laminate flooring. The railing matches with walls and ceilings.